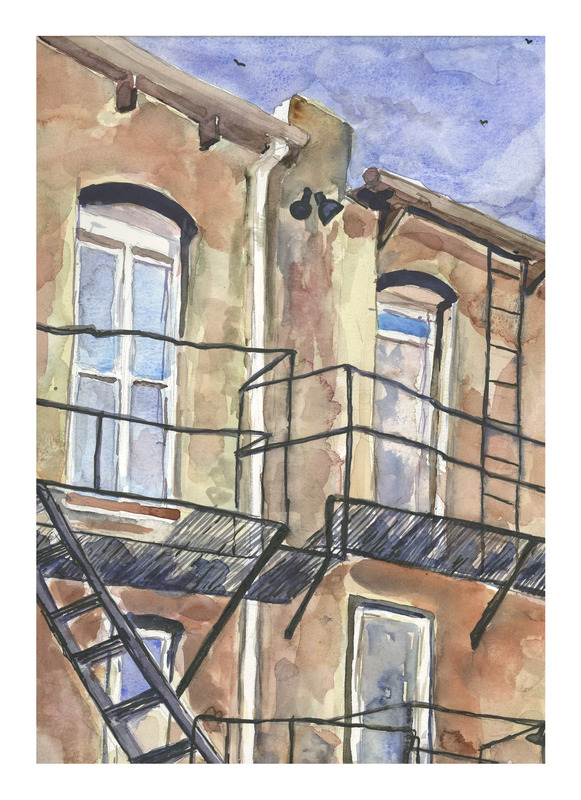 The final painting of the fire escapes behind an old hotel in Flagstaff, Arizona. Very different from the photo. I am not sure if I like it or not, but two noteworthy accomplishments: no mud, no outlines. Is it overworked? Don’t know. Does it look “real”? Don’t know. I am too close to it timewise to consider it objectively. But no mud and no outlines I can say for sure!